Discount available! 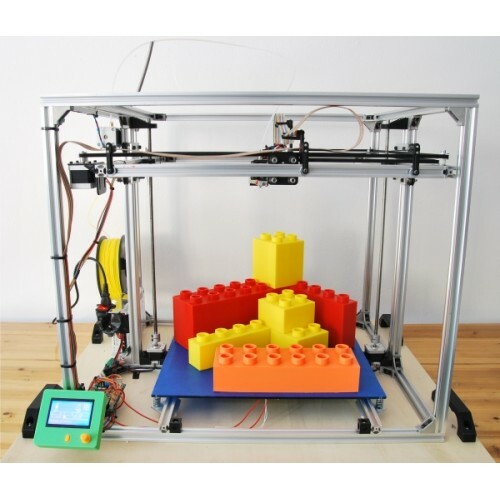 Recommend 3D4040 - The big 3D printer - 40x40x40 cm to your friends and get your Discount. 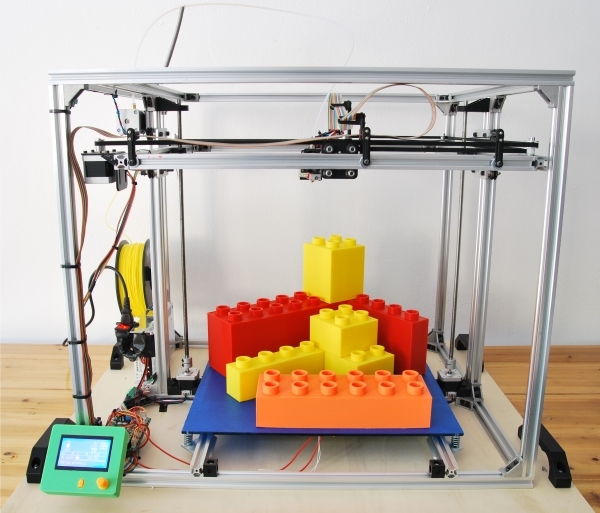 New FDM (Fused deposition modeling) 3D printer capable to produce 40x40x40 cm (64,000 cm3) objects. 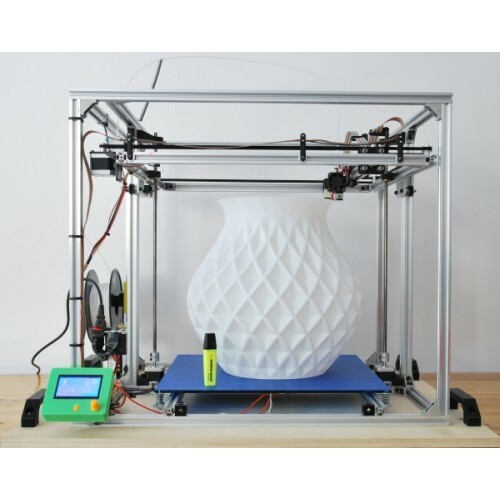 Ideal for hobbyists and professionals who want to get models and reproductions in PLA, ABS, Nylon, wood and other material that can be melted below 300 ° C.
The 3D4040 is a 3D printer capable to produce large objects despite its small dimensions. It comes with a tempered glass plate of 6mm thickness that can guarantee a flat plate. 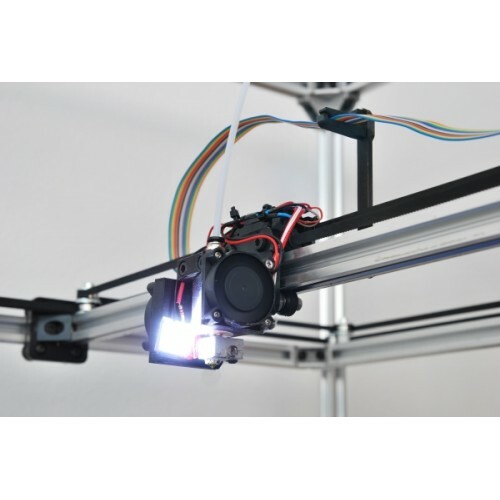 The 3D4040 is based on the CoreXY technology where the print head is moved on the X and Y axes (through 2 distinct 6mm GT2 straps with a 2mm pitch), allowing fluid, fast and accurate movements with two external motors to the frame. Thanks to this technology and to the bowden system (where the extruder motor is on the chassis) there are fewer moving masses, allowing you to achieve higher speeds and precision. 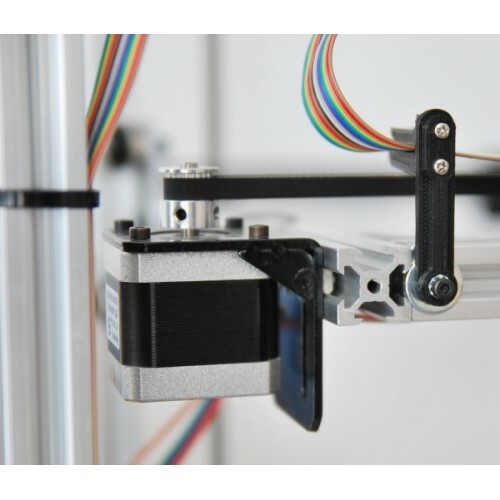 The design of the printer is made entirely of V-slot aluminum profiles, which are easy to assemble, thanks to the V groove and the POM (Polioxymethylene) pulleys, which enable linear movement systems characterized by a considerable precision and long life. These profiles joined together by aluminum angles, creating a robust, lightweight and functional structure. The Z-wheel carriage moves vertically thanks to two aluminum uprights with a section of 20 x 40 mm. Two Nema17 motors handle the movement of the Z-wheel carriage (through 2 trapezoidal screws at one principle, with 2 mm pitch in stainless steel). The 3D4040 also has some innovations with regard to the extruder: the extruder body uses a lightweight E3D V6 print head for 1.75 mm filaments, allowing you to have very small moving masses, and therefore higher accelerations due to reduced moments of inertia. In addition, using this extruder allows you to choose from a wide range of nozzles: 0.3 mm nozzles are available for those who require very detailed prints, up to 0.8 mm nozzles for those who want to reduce print times (default nozzle 0.4 mm). The 3D4040 can be customized by mounting a graphics display (optional) that lets you print directly from the controller without necessarily connecting a computer. For even the most complex prints, the easy-to-install glass plate heater is also available: this is a Kapton sheet featuring an electric coil that keeps the tempered glass at the set temperature. The 3D4040 is supplied in a mounting box. N.B. 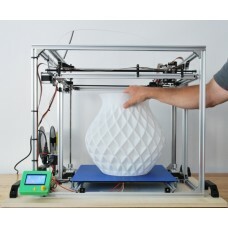 The 3D4040 printer is supplied without stand-alone display (optional) and without the heated plate (optional). To get a better grip on the printed object we recommend using the BluTape tape available among the related products. 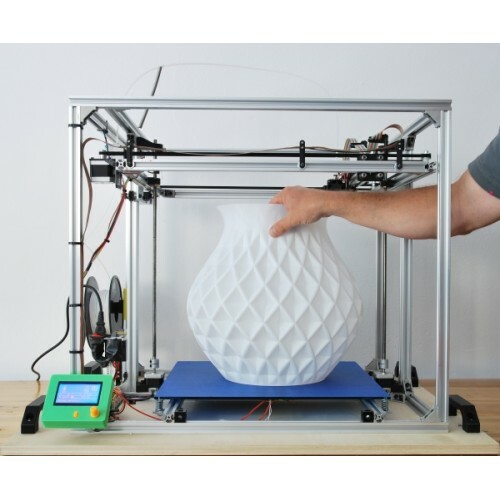 This printer is suitable for experimenting with and approaching the world of 3D printing. 12V Kapton pad with a 3M adhesive sheet to use with your 3D printer. 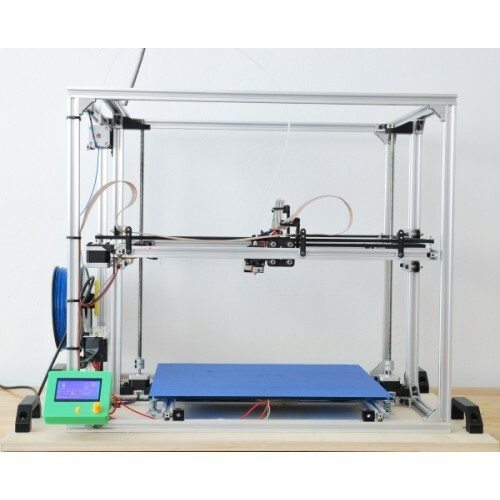 Siz..
Heater for extruder body of 3D printer (DMAKE and 3D4040 – see related products) . P.. 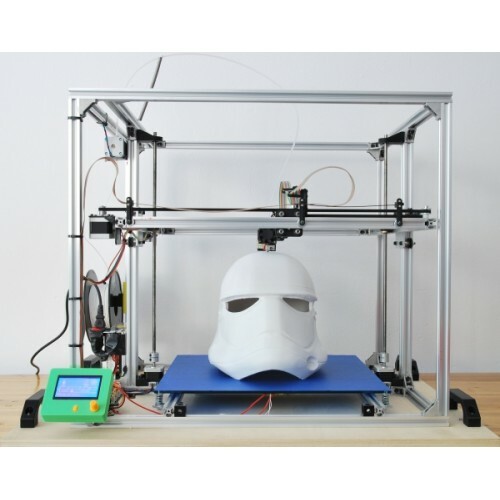 Box for 3D4040 printer in KIT ideal for protecting the machine from drafts tha..